Greenwashing- How do you know who to trust?! We’re all used to experiencing trends. Some of them are relatively harmless – like when we all became obsessed with yo-yoing, or wore blue hair mascara (oh, the 90s!) – but there’s a worrying trend that’s been building in momentum for quite a few years now: greenwashing. Greenwashing is the term used to describe a business making themselves appear more environmentally friendly than they actually are. This can be done by exaggerating the environmental benefits of a particular product, or by inflating the involvement the organisation as a whole has in green issues. With a growing consumer interest in the sourcing of materials and recyclable packaging – to name just a couple of concerns – the pressure is on both large and small businesses to respond; and the trend seems to be that some are only responding on a surface level, rather than actually making changes at the core of their business. The recent example of Boohoo backing Peta and banning wool, only to lift the ban within 24 hours, is a perfect example. To the standard consumer, it looks as though Boohoo are doing something to address the environmental issues within their business. However, The Daily Telegraph swiftly reported that the retailer doesn’t even sell any wool products, so it raises the question: why aren’t they addressing the issues in their actual supply chain, rather than pointing the gun at wool products they’re not selling? The answer, of course, is that it takes much more work, and it costs a lot more, to run an organisation from an ethical, sustainable, and environmental perspective. Ted and Bessie was actually created with the environment, and the welfare of our animals, as the foundation of our brand. We wanted to be an example of a business that could make beautiful products, and yet lead with all of these issues in mind first. We knew how easy it is for consumers to feel overwhelmed or, even worse, distrusting of companies who claim to be ‘green’, because they’ve been misled in the past. So we wanted to ensure that transparency was at the root of everything we do. 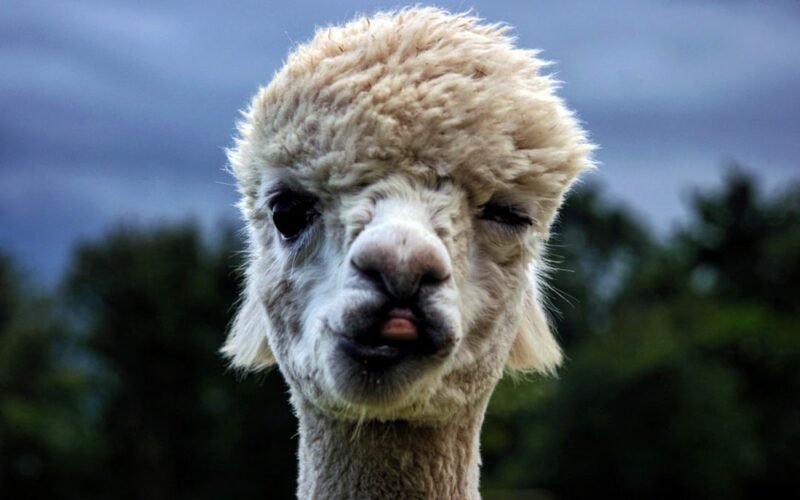 With every purchase, we invite all of our customers to visit the alpacas, and we’re so excited to be introducing Alpaca Experiences to what we offer. Not only does it mean that we get to meet more of you, but it also means that you get to meet us and see firsthand how important our animals, and the impact we have on the world, are to us. The main issue with greenwashing is that, underneath all of the PR stunts and the miscommunication, it’s still the environment that’s suffering. If all businesses put as much effort into actually making change, as they do into looking like they are, we’d be in a much more positive place.